Liftoff of the Soyuz rocket from its launch pad in South America is scheduled for 1637:14 GMT (11:37:14 a.m. EST; 1:37:14 p.m. French Guiana time) Tuesday. 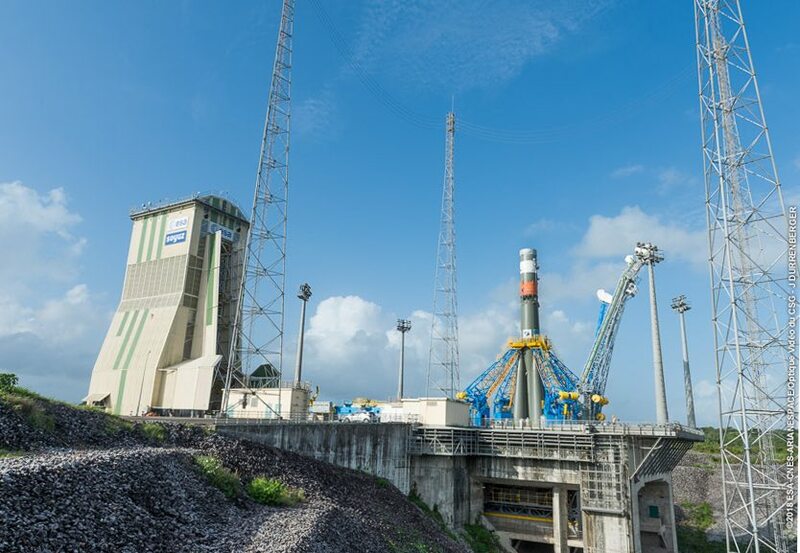 It will be the 20th flight of a Soyuz launcher from French Guiana since 2011 under the auspices of Arianespace, and the French launch provider’s 11th and final mission of 2018, including flights by Ariane 5, Soyuz and Vega rockets. 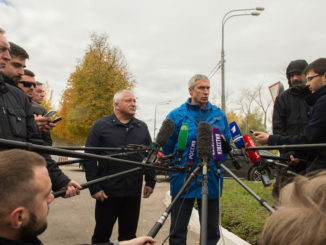 After flying north from French Guiana over the Atlantic Ocean, Canada and the Arctic, the Soyuz rocket’s Fregat upper stage will release the CSO 1 spacecraft in a nearly circular polar orbit roughly 500 miles (800 kilometers) above Earth approximately one hour after liftoff. 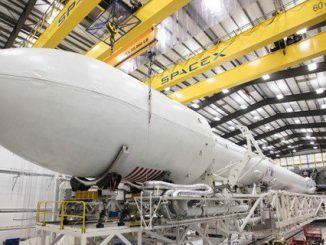 Designed for a 10-year mission, the CSO 1 satellite will be joined another CSO spacecraft launched on a future Soyuz rocket flight into a lower orbit around 300 miles (480 kilometers) in altitude, enabling it to collect even more detailed imagery for analysis by European military officials. 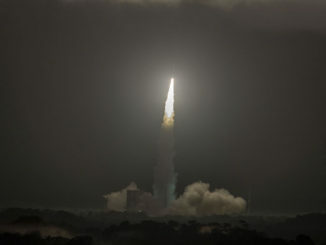 A third CSO satellite, made possible with German financial support, will be launched by Europe’s next-generation Ariane 6 rocket. The CSO satellites will collect day-and-night imagery in visible and infrared bands. 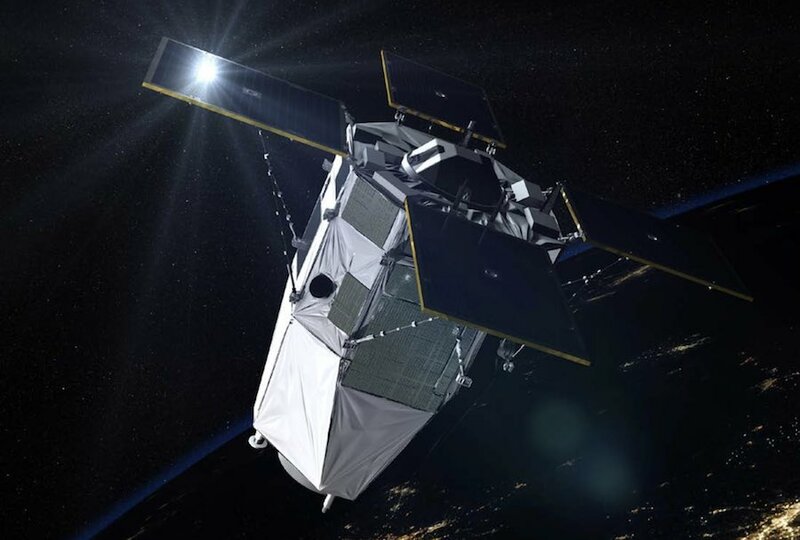 Each spacecraft features an agile pointing capability, allowing rapid steering from target to target, and enabling views from different look angles for three-dimensional stereo surveillance products.